Call Flow wants to make a name for itself as the first operator in the UK to offer symmetric multi-gigabit access speeds. The alternative broadband operator has been building out 100Mb/s fibre-to-the cabinet-based services across Southern England via sub-loop unbundling. To allow services to scale further, it has now decided to adopt a fibre-to-the-home (FTTH) strategy based on the XGS-PON architecture. To this end, Call Flow has chosen XGS-PON equipment from US optical access systems provider Adtran. XGS-PON supports 10Gb/s symmetric fixed wavelengths over the optical access network, offering four times as much downstream capacity as GPON. The use of fixed wavelengths provides the optimal blend between performance and price, while the higher speeds make it possible to address both residential and business subscribers on a single, common optical distribution network. The extra capacity will support premium revenues for years to come, essentially doubling the useable life span of the optical distribution network, Adtran claims. This new architecture will bring about a step-change in performance that will allow Call Flow to differentiate itself from other providers over the next decade, the vendor adds. “Call Flow has a leading vision for multi-gigabit broadband services to better enable their communities for the global marketplace and to improve individual customers’ lives. 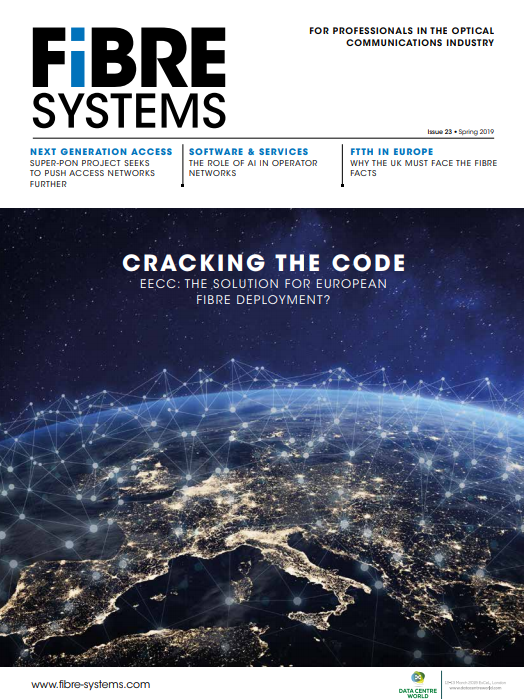 Its strategic choice of XGS-PON is foundational to its ambition to be a prominent FTTH player in the UK market,” said Ronan Kelly, CTO for EMEA and APAC at ADTRAN. Call Flow isn’t the only vendor considering next-generation PON (see, for example Telefónica tests Nokia's XGS-PON technology in the lab). As new application demands emerge, such as virtual reality, 4K streaming and the cloudification of software, service providers are urgently re-evaluating further investments in GPON as their standard of choice for new roll-outs, according to the vendor. Adtran highlights its expertise in this area: it provided the contributions that triggered the introduction of XGS-PON into the ITU standards. As the editor for this effort, ADTRAN drove industry consensus which resulted in the approval and adoption of the XGS-PON standard. Momentum is now building around deployment of this standard by operators in developed broadband markets. “ADTRAN’s global leadership in gigabit broadband solutions made it the ideal choice to address the rising bandwidth demands we anticipate for the next 5–10 years and beyond,” said Andy Conibere, CEO at Call Flow. “Its commitment to modern software-based, open architectures reinforced our view that it was the right partner for us.